The countdown to Christmas is here, and what better way to celebrate it than by making it a DIY holiday season! Whether you need ideas to spice up your holiday decorations, or stressing about what to give your loved ones, we have a list of items that can help with that! 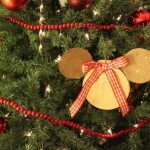 Here are DIY Disney inspired Christmas decorations and gifts that anybody would love this Christmas season. Here is a very cute gift idea to keep someone warm this winter. 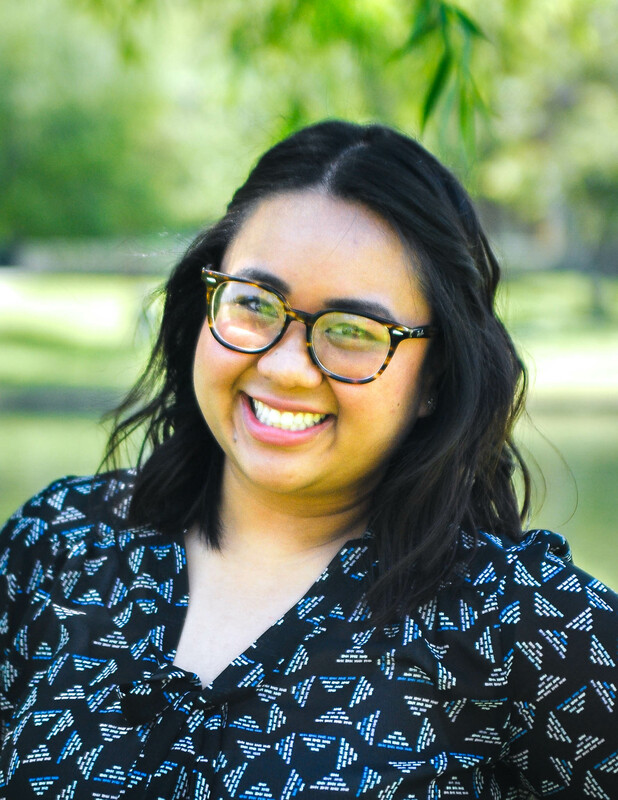 If you are not a seamstress, don’t fret! 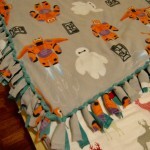 This is a very simple no sew fleece blanket that ANYONE can do! 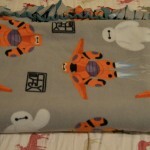 What you will need are two fleece fabrics (preferably a solid color and pattern), a ruler, pair of scissors, and some helpful hands to tie the knots. 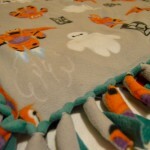 You can find an array of Disney themed fleece patterns at any crafts and fabrics store. This is a great gift to give to anyone, whether it is a child or adult! 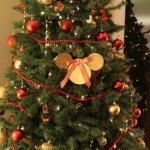 Here is an easy DIY Disney decoration in the form of a Mickey ornament. All you need are red matte ornaments, a sharpie, and some glitter glue. Get your creative juices flowing by designing your own Mickey pattern on the ornament with some glitter glue to help it sparkle. 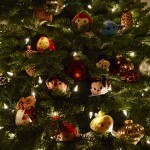 Tsum Tsums are also an adorable accompaniment to making your Christmas tree more Disney themed! What is the best thing to go along with warm hugs? 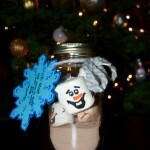 How about a DIY “Olaf” hot cocoa mix in a mason jar. 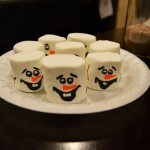 This is such a fun and simple gift that any Frozen fan would appreciate! 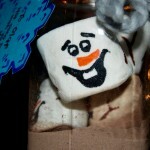 The recipe for this charming gift is simple: hot cocoa mix, large marshmallows, a mason jar, food decorating markers, yarn, and a sweet note to tie the whole thing together. This gift is very fitting to give to anyone who is worth melting for. 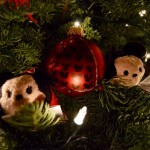 Here is another variation of a Mickey ornament! 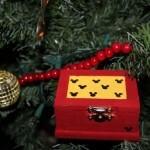 For the more advanced crafter, here is a Mickey ornament that you can put together. The formula for this is simple: a circular ornament and two smaller circles for ears. Buy a wooden ornament and spray paint it gold, then attach two burlap tags for the ears, and add a red bow to give a pop of color for that holiday season! 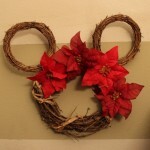 This is a great DIY Disney decoration and gift! 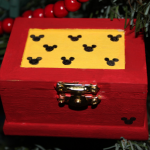 Get a wooden jewelry box at a crafts store, and with some paint you can give it that Disney touch. 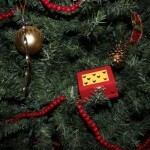 You’ve then got a pretty box that you can not only put on the Christmas tree, but also put small trinkets in like earrings or rings. This is a great two-in-one DIY project that will not only work as a nice touch on the Christmas tree, but also an amazing gift to give! Who doesn’t love leaving a party with a gift bag? 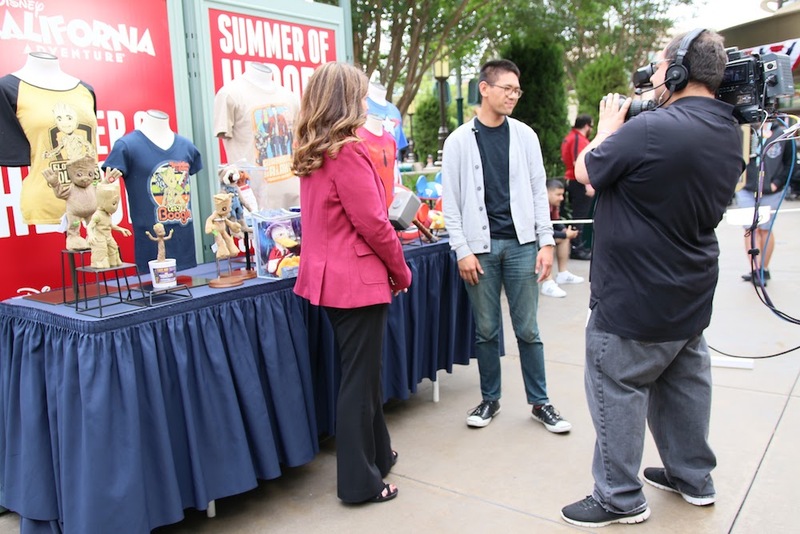 Well, this season you can be a popular host by making Mickey gift bags for guests. 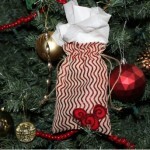 All you need is a bag, some felt to customize your present’s presentation, and glitter glue! Fill these cute bags with some candy and trinkets, hand them to your guests, and your holiday party will be the best of the year! After doing this DIY project you may have a wreath making problem like I did. After realizing how easy it was to make a Mickey wreath, I wanted to make one for every occasion. This is a wonderful holiday decor to put around your house! All you need are three wreaths of two different sizes, floral wire (to attach the wreaths together), pliers, some holiday appropriate decor (like poinsettia), and hot glue. 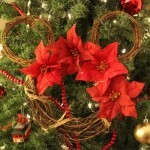 After hanging these beautiful Mickey wreaths up, you won’t want to take them down after the holiday season. The clock is ticking away for this Christmas season, but you still have time to try out these DIY projects! Whether it is a gift or decoration, give this winter season a more personal touch by creating these fantastic DIY Disney crafts! Next story Bob Iger made Star Wars ice cream happen.